It’s a brand new year and many of you will be making resolutions to be more organized, productive, and to have more time to yourself or with family. Resolutions are a fantastic ways to explore areas in your life that need improvement but how do you stick to them? All too often, we examine areas in our lives that need improvement but we simply can’t find an easy, helpful way of implementing the changes. Help can be found in tech devices though; something we are likely to use every day, something that not only helps us with reminders but a place where all of our lists, notes and commitments can be viewed and stored in one convenient location. 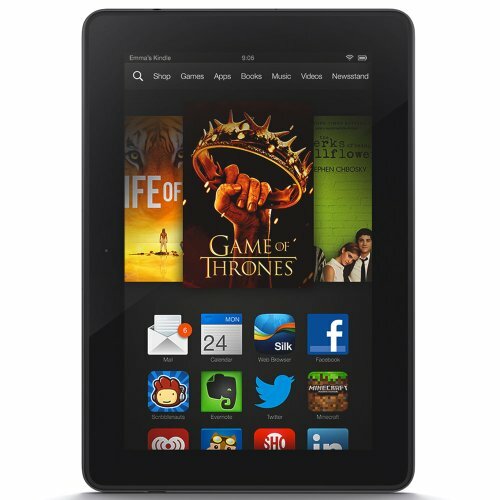 A perfect device for helping you achieve the “new you” is the Amazon Kindle Fire HDX. First, let’s get to know the device. The Kindle Fire HDX is made by online retail giant Amazon and is connected to the site. You link it directly to your Amazon account to make purchasing things like books and apps a snap. If you don’t have an Amazon account, it is easy to set up. There are many options to choose from such as screen size and memory storage amounts but to make it easy; we are going to focus on the Kindle Fire HDX benefits in this article. Let’s go ahead and get that out of the way. You can find more details on all the specs through a simple google search so we will jump right into ways the Kindle Fire HDX can help keep you focused and motivated toward keeping your New Year’s Resolutions. Being organized can make life a lot easier but many of us struggle with it. It’s difficult to find time to sort lists or even remember to jot down appointments. How many times have you forgotten a doctor’s appointment or a special event you needed to attend? The Kindle Fire HDX can help keep everything in one place with alert reminders. A few good apps for this (you can download them from Amazon’s app store) are Cozy, a calendar app and Evernote. Cozy is a calendar app that gives you plenty of room to jot down appointments and reminders. It also gives you the option of linking all your family member’s email accounts so that you can send a reminder to everyone, at one time, for an important event. This option is given to you when you add a new event so that you can choose which person to send the email reminders to. It’s a handy app for a busy family and its right there at your fingertips at any time you need it. 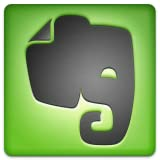 Evernote is also a great app for getting organized. You can jot down all your scattered thoughts, notes, appointments etc, and Evernote can share them across all your devices. Never miss an important notification just because you didn’t get to your computer today. It does tons more but you can get a full description at the Amazon app store. Oh and by the way … both apps are free! The Kindle Fire HDX comes with most social media apps already installed but if yours isn’t on there … a quick trip to the app store will fix that! Being organized is one of the single most important things that you can do to make your life easier and organization leads to increased productivity. Getting organized is the first step in your journey but, how can the Kindle Fire HDX make you more productive? Having everything in one place aids productivity because you don’t need to waste time switching devices or hunting for login info every time you want to complete a new task. The Kindle Fire HDX can help you speed up time spent on tasks in a few ways. The email organizer … this is simple genius. The Kindle Fire HDX comes with an app that you can link all of your email accounts to and all of your incoming messages will appear in one inbox. You can also choose to push notifications with alert tones to your device so that you never miss an important email. The Kindle Fire HDX also has LinkedIn App, available at the Amazon app store that you can download and link to your account as well as, Adobe Acrobat reader and a Microsoft Word app. It’s so great to be able to do so many things on one device isn’t it? Being this productive can free up a lot of time so that you can have more time for leisure and family. The Kindle Fire HDX is great for your free time too. With its built in news app you can subscribe to all your favorite newspapers and magazines and have them delivered right to your Kindle. Download and watch movies or television shows from Amazon’s giant list of current media. You can stream them or download to watch offline later. You can download and read all sorts of books from bestselling authors at Amazon’s kindle store like, Getting Things Done: The Art of Stress-Free Productivity” by David Allen. Mr Allen is a management consultanat who can teach you how relaxation can increase productivity and how to overcome those feelings of being overwhelmed. Or you might peruse Julie Morganstern’s book, “Organizing From the Inside Out”. Organizing queen Morganstern can show you how to organize yolife in small easy steps and help you address why you keep things. Both of these books and more can be auto delivered wirelessly from the Kindle store. If you’ve never tried it … reading a book on a Kindle is a pleasure! You can change the font size, font and background color. You can bookmark and highlight pages and passages that have special meaning to you and never have to search for though pages again because they are right there on an easily accessible list. The Kindle has a built in dictionary so all you have to do is hold your finger over a word you don’t know and the definition pops up. It’s great; you never have to look for the dictionary. This is especially helpful for children. The Kindle Fire HDX is GREAT for kids! There are all sorts of games, learning apps and media to download to keep your little one busy and learning. Picture books look absolutely amazing on this device. The colors are sharp and clear … sure to catch and keep your child’s attention. What better way to encourage a love of reading in your child? Some great learning apps are Flow Free: Bridges, Minecraft-Pocket Edition, Stack the States … the list is endless, just go explore! The Kindle Fire HDX is a must have device for the New Year. Not only can it help you become more organized and productive but it can also help to generously fill your leisure time as well as being educational for kids. What are you waiting for? Go get one for yourself and find out!